Protects all your usernames, credentials and privileged accounts in a centralized vault using US federal government approved encryption. Enables your organization to hide privileged credentials from users, ensuring those credentials never reach endpoints. Securely stores documentation, files, images, license keys and sensitive information alongside your passwords and credentials. 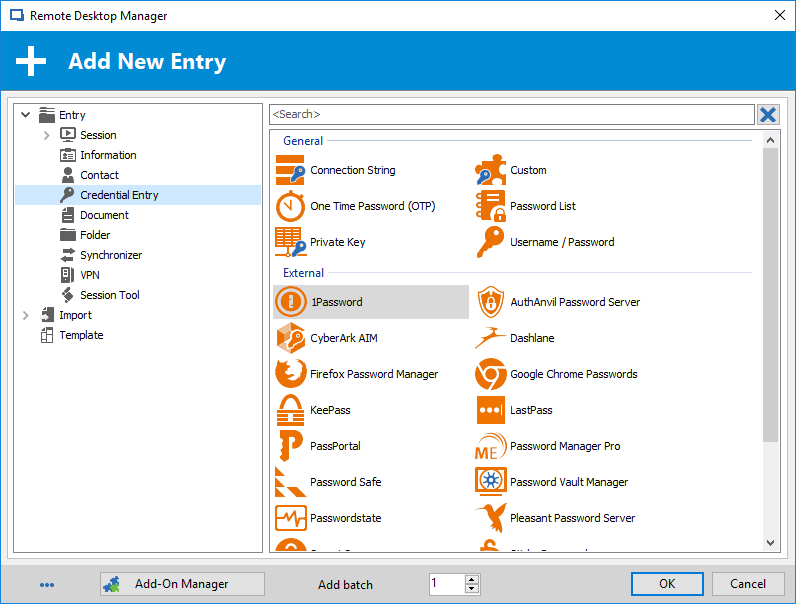 Integrates with an impressive list of existing password managers, including: 1Password, AuthAnvil, Dashlane, KeePass, LastPass, Password manager Pro, Secret Server, Sticky Password, Zoho Vault, RoboForm and many more. 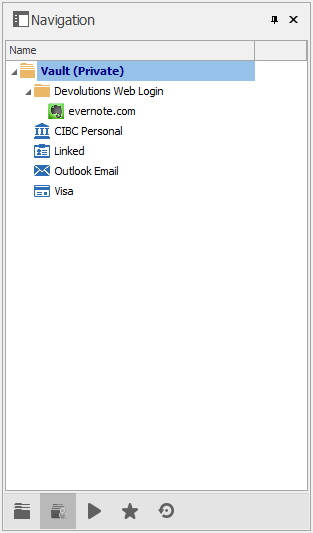 Securely manage your shared accounts and administrative passwords using a granular and effective management system. All administrators can use the same administrative account, credential and password to access the entire infrastructure. 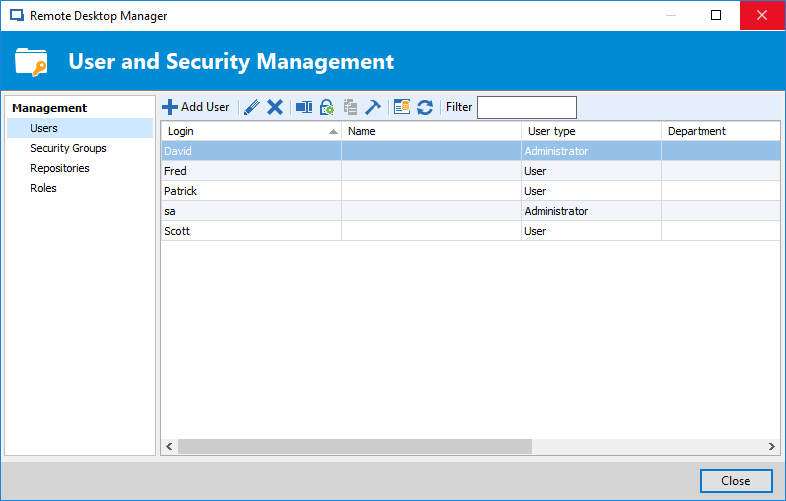 Using the role-based access control supported by Remote Desktop Manager, you can easily manage your administrative account by ensuring that only authorized users get access to administrative passwords. The Private Vault is a user-specific repository used to securely store private credentials and passwords. Allows each user to have their very own private repository accessible only to them. Allows your end-users to store and manage all their personal passwords in a secured vault. It is a must-have since it prevents them from using a non-secure tool, which would risk cross-contamination through poor password usage and make your IT environment more vulnerable to cyberattacks.